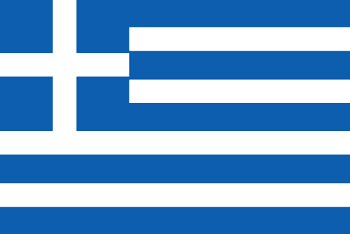 Our webpage is a functional page for assisting those users requiring Greek to English translation. Whether it is informal casual non-professional Greek to English translation or professional translation from Greek to English for formal and professional use, our website is geared to help. The simple translation tool on the page is suitable for casual, informal texts of Greek to English translation. Input the text in the box and click on the “Translate” button to get instant Greek translation for free. However, professional translation from Greek to English needs more accuracy. Our competent, proficient and professional translators for texts of Greek to English translation are on hand to help. They will undertake Greek to English translation of your work that will be error-free while ensuring timely delivery. Greek is one of the oldest recorded languages of the world; written records in the language go as far back as 34 centuries. It belongs to the Indo-European group pf languages. The Greek alphabet has been in existence since 750 BC and has given rise to many other language alphabets such as Latin, Armenian, Cyrillic, Gothic, and Coptic. It is the official language of Greece and Cyprus. It is also one of the languages in use in Armenia, Italy, Romania, Ukraine, Hungary, Turkey, and Albania. There are pockets of Greek immigrants in the United States, Australia, Canada and many other countries that are spreading the language there. There are an estimated 13 million native Greek speakers all across the world. The Greek alphabet consists of 24 letters, each with an upper case and a lower case form. The letter sigma has an extra lower case form too when it occurs at the end of a word. The alphabet has three accent marks (acute, grave, and circumflex), breathing marks to mark the presence or absence of the letter h, and the diaeresis. Post 1982, however, only the acute accent and diaeresis exist and the other marks have fallen in disuse. The Greek alphabet was the first one to use vowels. Most languages have undergone drastic changes from their early forms. Greek is an exception. Modern Greek still has enough resemblance to ancient Greek. Greek holds enormous importance in the history of the world. It has given the world the foundation for astronomy, mathematics, science, logic, and philosophy. Many scientific terms and phrases have their roots in Greek and Latin. The works of Aristotle and Plato apart from epics such as The Iliad and The Odyssey had an impact on future generations of litterateurs and philosophers and continue to do so. The New Testament was written in a Greek dialect. Greek has been instrumental in the introduction and coinage of new words, especially in English. Plenty of word roots, stems, and prefixes rise from Greek. For instance, common prefixes starting with bio-, hyper-, aero-, astro-, or auto-, all are part of the Greek lexicon as are the words ending with –logy, Numerous words that are accepted and deeply entrenched in English now are Greek imports into the language. Words such as monarch, hysteria, music, logic, phobia, photography, diameter, diagnosis, academy, emphasis and plenty of other commonly used words are loanwords from the Greek.